GRANDE RIVIERA A unique private enclave of 13 luxurious residences on the tip of Golden Gate Point. Stunning, timeless, old world Mediterranean design with mesmerizing, panoramic views and deep boating water. A Boat dock with Lift is included in list price with Buyer paying 6% sales tax on transfer based on value of $50,000. Perfect single family home replacement with over 3900 square feet, 4 bedrooms, private two car garage and full time Manager on site in the downtown Bayfront area. 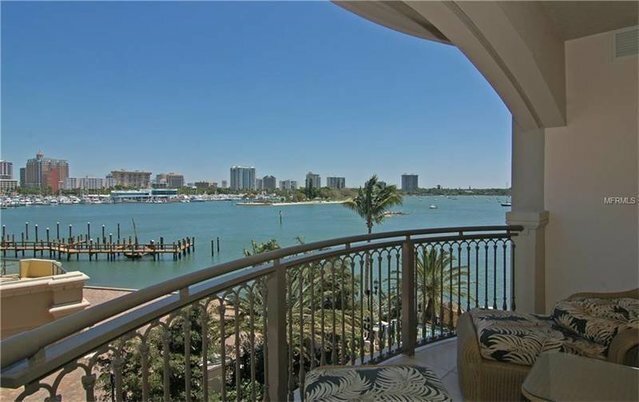 An ideal location centered between Sarasota's vibrant, cultural downtown and the recreational lifestyle of St. Armands and Lido. Enjoy all the comforts and luxuries that Sarasota has to offer from this convenient location just minutes away from gourmet markets, salons, shopping, dining and entertainment.